From our table, we had a close up view of Ganesha’s behind. This was not a good omen. The best parts of the meal were the very beginning (sun-dried tomato goat cheese stuffed whole wheat bread) and the end (strawberry kulfi in a chocolate cup). 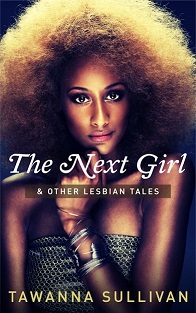 Luma is located in the Tiff Bell Lightbox – where we saw the Queer Outlaw Exhibit. Dinner here was a very nice. I started with a fantastic soup–chilled cucumber and coconut soup (with Jonah crab, chili mint crème fraîche and toasted coconut). My main dish was spiced roasted chicken supreme (with collard greens, birch-baked beans, cheddar biscuit and red-eye gravy). The chicken itself was great. Say no the the cheddar biscuit. NO. Everything else was okay… I didn’t take a photo but I’ll try to paint a picture for you. Imagine an empty plate. Now, put three or four tablespoons of Bush’s baked beans with chunks of maple flavored bacon on it. Toss a couple of pieces of wilted collard greens on top of it. The chicken goes on top of the greens and pour the pan drippins from the chicken on top. For dessert: ontario stilton with niagara plum compote and spiced oat crumble. 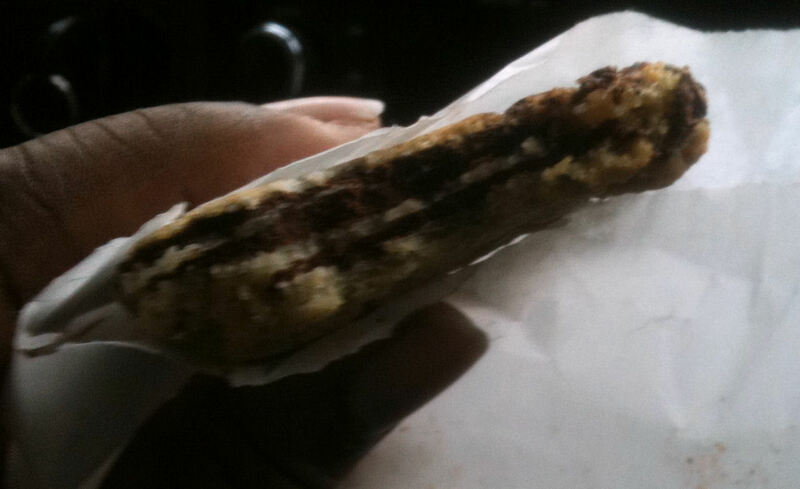 I have to give Luma props for including an after dinner treat that wasn’t sugar overload. How did I eat it? Take a forkful of the savory stilton (blue cheese) dip it in the tart plum compote and then roll it in the slightly sweetened crumble. I smile just thinking about it. The Shore Club was awesome. Short Rib Agnolotti (Stilton, Shiitake Mushrooms, Leeks, Red Wine Jus) – this was basically rib dumplings filled with tasty goodness. The grilled New York Striploin with sweet pepper chimichurri was tender and flavorful. I originally turned down dessert (sigh, no sorbet or cake for me) and would have been fine with that. Our waiter showed up with a bowl full of berries for me–even though it wasn’t part of the Summerlicious menu. Martina started with the grilled calamari and had the pan seared atlantic salmon with citrus passion fruit emulsion. Everything was good and we paid a 2nd visit to the Shore Club. Chez Cora – which is an Ihop like restaurant chain. Think crepes and fresh fruit instead of pancakes and sausage. Yuzu No Hana – M was extremely pleased with the sushi here. Me: (unpacking groceries) Butternut Squash?? 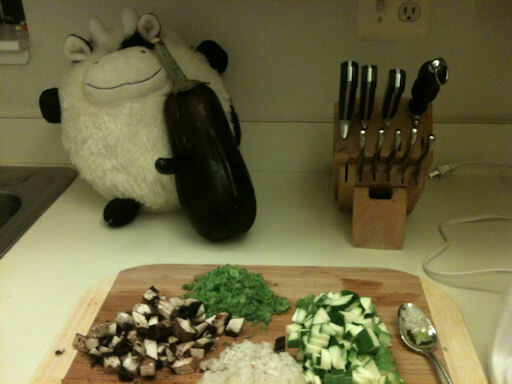 M: I know it wasn’t on the list, but I didn’t like the way the zucchini looked. Me: Okay, but what are we going to do with this? M: You’ll think of something. After scouring several recipes online, I settled on soup. Wolfgang Puck’s Roasted Butternut Squash Soup. He made it look easy. However, there were some challenges. I don’t have an immersion blender and scrapping the (hot) roasted squash out of it’s skin didn’t appeal to me. I ended up using most of Puck’s ingredients with techniques cribbed from other recipes. Pre-Game – gathering of the key players. There’s no cardamom here–and that’s the ginger trying to attract attention by separating from the group. 1st quarter – learning how to peel/seed the squash – This “peels” picture is early on; it’s much messier than it looks on youtube! 2nd quarter – I depart from WP’s method by cutting up the squash and other veggies to roast them together. Halftime Show – Pot Roast and the Sensational Seasonings danced and sang their way into the crock pot. They made a 2nd appearance at dinner. 3rd quarter – The Food Processor justifies it’s place in our kitchen! Puree-fy my love. I added rosemary and a cinnamon stick to the cream. 4th quarter – Touchdown! Butternut Squash Soup topped with toasted pine nuts! *It was good. Sweet, but good. In the video, WP adds honey–no need for that. Roasting the squash does the job of caramelizing/intensifying the natural sweetness. Yesterday, I took a cooking class at The Culinary Conference Center: Soups And More. This was a very hands-on class where everyone got an apron, a hat and chopped/diced/rolled/stirred or whatever was needed. In 4 hours, Executive Chef Rick Low guided us through seven recipes: turkey consomme, acorn squash-pear puree, vichyssoise, spinach and cheese stromboli, grilled flat bread, herb compound butter and bruschetta. No pics of the stromboli, but it was great. We made so much food and got to take some home. The Culinary Conference Center offers cooking classes throughout the year; I’ll definitely go back. 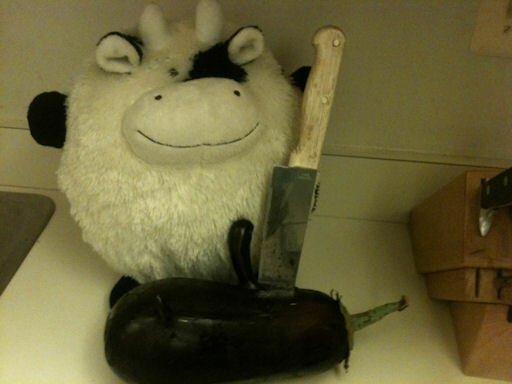 When Mr. George Eggplant, Esq, moved into the neighborhood, he quickly struck up a friendship with the jovial Mr. Ferdi. They got along so well that the relationship took an amorous turn. 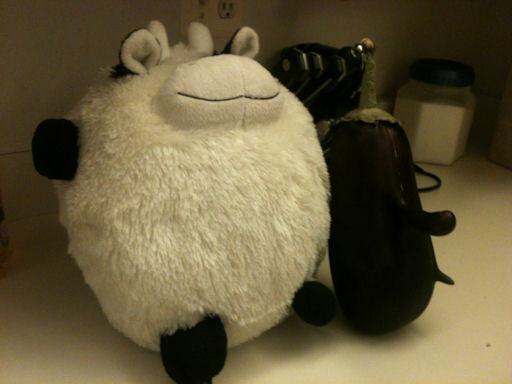 Within days of their new-found closeness, Mr. Ferdi discovered that he couldn’t move a hoof without it falling under the shadow of Mr. Eggplant’s nose. 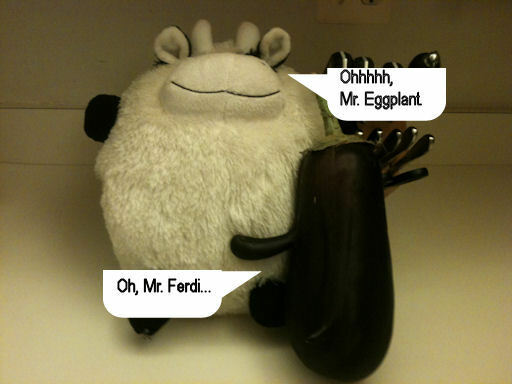 Mr. Ferdi invited Mr. Eggplant to dinner in hopes of setting out some ground rules. 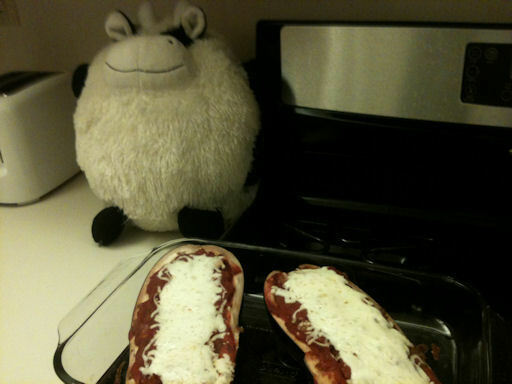 Then, Mr. Ferdi invited the two ladies across the lane over for a delicious meal. He assured them it was made with love. I don’t see Popeyes, KFC, Boston Market, legs, thighs or wings in my immediate future. In fact, veggies have been looking really good lately. This is actually 3 experiments in 1: testing out new dutch oven, new chorizo & shrimp gumbo recipe, and taking pics with iPhone. In the late 70’s / early 80’s, my grandmother was on the Senior Usher board of our church. Whenever a senior usher from another church in Baltimore died, she’d put on her uniform and represent our church at the funeral. When members of our own church passed, we had to go to those funerals too. As a young-un, I preferred services that took place in funeral homes. Instead of being confined to a pew (sit there and be quiet! ), I could roam around a little to the other viewing rooms. I’d look at the different people and wonder why some of the signature books were blank. It probably sounds morbid, but I had no concept of death other than what the pastor said: the people were sleeping and would wake up in that great getting up morning. Plus, if you stare at a body long enough, the chest almost looks like it’s raising up and down (slightly). My grandmother’s funeral (in the early ’90s) was the first funeral that I went to for a close family member. I don’t remember that actual service. However, I do remember that for a week leading up to the funeral–everyone and their mother dropped by our house to offer their condolences. We lived near a Popeye’s, so most of the visitors showed up with a box of fried chicken. And biscuits. 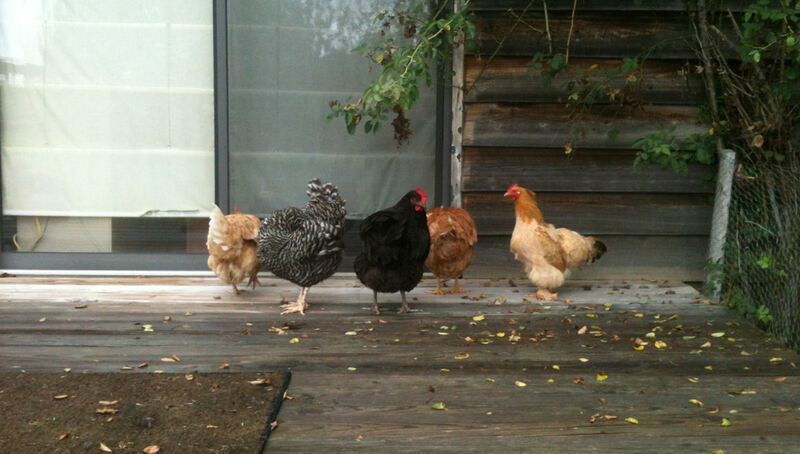 We had so much fried chicken that I swore off of it–for about a week. If I can re-create Tandoori Chicken in my own oven, my subscription to Cooks Illustrated online will be more than worth it. So far, I’ve made biscuits and cranberry sauce from scratch–and no one got hurt! Maybe this weekend I’ll work my way up to a pasta dish . . .